"Cantine Giacomo Conterno is one of the greatest names in all of Piemonte. The estate was formed in 1908 when Giacomo's father, Giovanni Conterno started a wine bar in the village of San Giuseppe. Giovanni made Barolo from purchased grapes and sold whatever was not needed at the tavern in barrel at this time, as was the custom throughout the region in the early twentieth century. Their flagship Riserva Barolo, Monfortino, was first conceived as a means of showing off the quality of their best wine, and was first bottled on its own in either 1912 or 1920. There are reports that a 1912 Monfortino was made by Giovanni, but the family members cannot recall if this was indeed the case. In any event, after his return from World War I, Giacomo Conterno and his father Giovanni certainly made a 1920 Monfortino, and a legend was started. Giovanni Conterno passed away in 1934 and his son Giacomo took over running both the tavern and the winery. Giacomo had two sons, another Giovanni and Aldo, who were given the reigns of the family business in 1961. Giovanni (grandson of the estate's founder) had vinified the 1958s with his father, and was responsible for the estate's wines from 1959 onwards. Younger brother, Aldo Conterno was interested in experimenting with a more modern style of Barolo, and the estate was split between the two brothers in 1969. 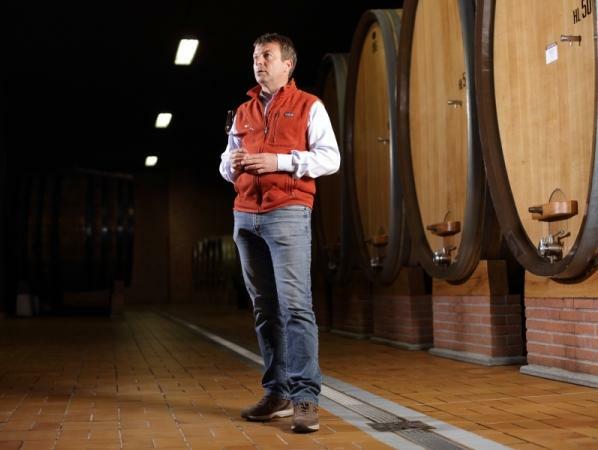 Giovanni continued on making wines as his father and grandfather had done before them, making great, traditional Barolo of uncompromising quality. Today, the torch has been passed to fourth generation winemaker, Roberto Conterno. Roberto worked side by side with his father for many years before his passing in 2003. Roberto himself is one of the most fastidious and perfectionist winemakers we have experienced, and many feel he has taken the winery to even greater heights than his predecessors. The Conterno style of Barolo has always been ultra-traditional, with a long maceration followed by extended aging in large, old oak casks (botti). In the old days, aging was anywhere from four to ten years prior to bottling, and often longer, sometimes with multiple bottlings from the same vintage. For the Monfortino, it used to be held in a single 4,000-5,000 liter botti for a minimum of ten years prior to its bottling (the 1970 Monfortino was not bottled until 1985!). Today, the "regular" Barolos are aged for four years before bottling, and the Monfortino for seven years - the only "modernist" concession in the entire vinification and aging process! Like many top producers, in the old days, the Conternos made their Barolo exclusively from purchased grapes. The Conterno family sourced from some of the best growers mostly in the commune of Serralunga d'Alba but also surrounding villages. The 1920 Monfortino, for example, was made from purchased grapes from the Le Coste vineyard in Monforte d'Alba. In 1974, the Conterno family purchased the 16 hectare vineyard of Cascina Francia, one of Serralunga D'Alba's choicest parcels. The first vintage to be produced from this vineyard was legendary 1978...quite an auspicious beginning! Interestingly, while the 1978 "regular" Barolo was made from grapes in Cascina Francia, it was not until the 1980 vintage that the name of the vineyard appeared on the label of the regular bottling. Today, the estate owns vineyards in three of the top Crus in the commune of Serralunga, having added Ceretta in 2008 and Arione in 2015. Eventually, there will be three single-vineyard Barolo bottlings at Conterno, plus the Monfortino Riserva, which is only released in the best vintages. At present, both the Monfortino and the Francia bottling come from the Cascina Francia vineyard. The grapes for these two wines are earmarked while they are still on the vine, with the vintage's very best grapes selected to become Monfortino. Fermentation of both bottlings is identical with the exception that the Monfortino witnesses no temperature control and receives a slightly longer maceration. In fact, two separate cuvees are made each year until a determination is made - usually several years after the harvest - whether to release the Monfortino on its own, or to combine it with the Cascina Francia to make one wine. The Monfortino selection is only made if it is determined to be significantly different, both qualitatively and stylistically, from the rest of the Cascina Francia. In addition to the outstanding Baroli made by Giacomo Conterno, there is also Barbera d'Alba produced from both Cascina Francia and Ceretta. The Barbera are aged two years in large botti and are some of the most age-worthy and brilliant examples of this underrated grape to be found in Piemonte. Note: beginning with the 2010 Barolo and 2012 Barbera from Cascina Francia, the wines will labeled as simply "Francia" in order to to comply to the new standardization of Barolo cru' names across the region. While there is a fifth generation of Conternos now potentially waiting in the wings, the legacy of this winery goes beyond the century of truly benchmark Baroli produced. Certainly, the Conterno family belong in the same visionary breath as Bruno Giacosa and Angelo Gaja in helping to create a market for fine Piedmontese wines that can compete among the world's finest and most prestigious examples. But Roberto himself has quietly and steadfastly pushed the limits of quality by focusing on perfecting minute details in the viticulture and winemaking process. First, the winery has experimental vineyards where various massale selection varietals, both new and old, are tested and evaluated for future use. In addition, the winery itself is a meticulous "labratory" for creating the finest wines possible. No expense has been spared in equipment to be used for qualitative improvement. His de-stemmer, for example, is a one-of-a-kind machine that he helped to to create, and operates with a level of precision more like a japanese sushi chef than other standard winemaking machines! Roberto has also sought to elimate two of the biggest scourges that face the Fine Wine market today, counterfeit wines and corked bottles. Working closely with both cork manufacturers and cork machine producers, he has developed a system that marks each cork with an identifying code that can be cross-referenced to determine authenticity. In addition, he has helped to create a machine that can qualitatively evaluate each and every cork, not only to detect the most minute traces of cork taint, but also to find any tiny deviations in the cork's structure that could affect its efficacy as a closure. While only time will tell whether this system is 100% perfect, the goal is that Giacomo Conterno will be the first winery ever to fully eliminate corked bottles. A revolutionary concept, indeed!"